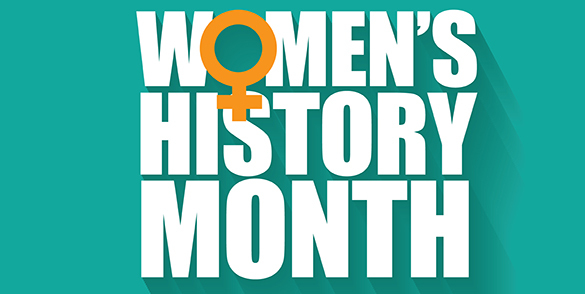 Women’s History Month is a yearly recognition of contributions that women have had to events in history and contemporary society. It is not only celebrated in the U.S., but also in the U.K. and Australia. This year, we would like to honor a few of the women and their achievements or inventions that have shaped our 21st century lives and contributed to advancements in technology, medicine and manufacturing. Necessity is truly the mother of invention! This American woman is responsible for making the ‘dishwasher’ a common household word. She patented her first dishwasher in 1886 and in 1893 it was exhibited at the World’s Columbian Exposition in Chicago. Her legacy lives on and we can’t be more grateful for her idea. Her company was bought by KitchenAid in 1916, but she remains listed as one of its founders. So when you bring that old dishwasher into TT&E for recycling, you will remember to be forever grateful for her hard work! We can’t imagine driving in the rain without windshield wipers, can you? Mary was a real estate developer and rancher originally from Alabama. Her experience riding on a trolley car in New York City is what led to her great idea. The trolley driver opened the panes of the front window in order to see through falling sleet. As soon as she returned home, she got to work on a solution. Astonishingly, car manufacturers didn’t see any value in her creation and were not interested in purchasing it. Later, in 1922, Cadillac became the first car to include one windshield wiper. After her patent expired, however, the wipers quickly became a standard feature. As an African American nurse living in Queens, New York, Marie was concerned about her safety while home alone, since the crime rate in her neighborhood was increasing at the time. She thought she’d feel less afraid if she could see who was at her door, without actually opening it. Her husband, Albert, an electrician, helped her create a system of 4 peep holes with a movable camera, which connected wirelessly to a monitor in their bedroom. It even had a 2-way microphone so you could speak with the person standing outside, and buttons to sound an alarm and remotely unlock the door. They received a patent in 1969 for her innovative idea, and the rest is history! As graduate students at Columbia University’s School of Architecture, Anna and Andrea were saddened by the news of the devastating 2010 earthquake that struck Haiti. In one of their classes they were assigned a project to find a way to help with disaster relief. They realized the overlooked need of having light after disaster strikes due to massive power outages. They decided to create an inflatable, waterproof and solar-powered light that charges in 6 hours to provide light for up to 16 hours. Their addition of the Give Light Project donates one light for every light purchased. They truly have come to the rescue for many in need across the world, including Nepal and Syrian refugees. We hope you’ve found a ton of appreciation and inspiration from these women! The world would be different without their conscious effort, determination and skill to make these inventions that affect our lives, making it better, easier, and safer! THANK YOU!